Looking up and down any train carriage on your way to work today and you can’t help but notice that almost every single person sits craned over a screen, staring blankly into its blue glare. In recent decades, the presence of technology in our day-to-day lives has gradually increased to the point that it has drastically changed the way in which we interact with each other. However, as Vitra Design Museum director Mateo Kries notes, it is only in the last two to three years that this phenomenon has been so intensely discussed. 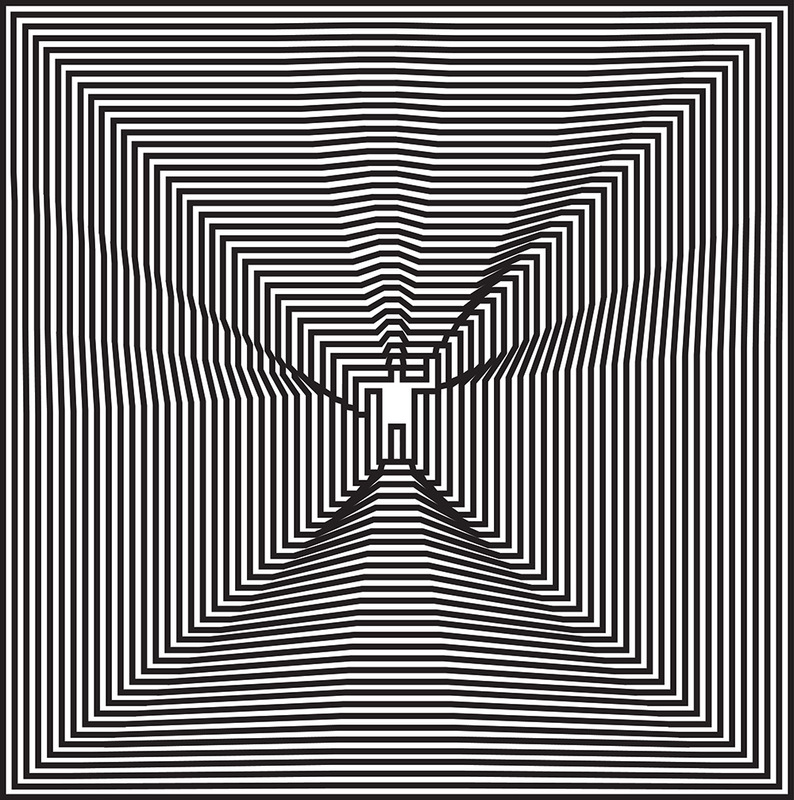 Last week, a new exhibition titled ‘Hello, Robot. 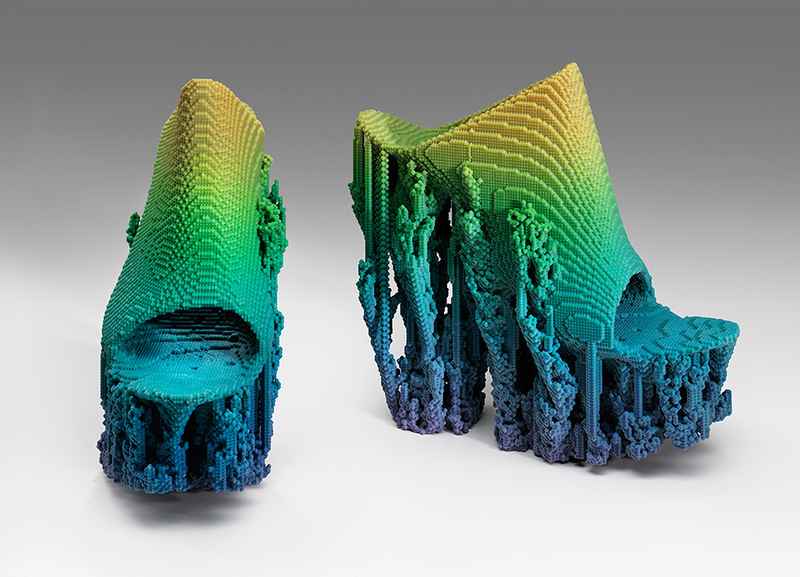 Design between human and machine’ opened at Vitra’s Weil am Rhein Campus with the intention of examining the topic through the lens of design. 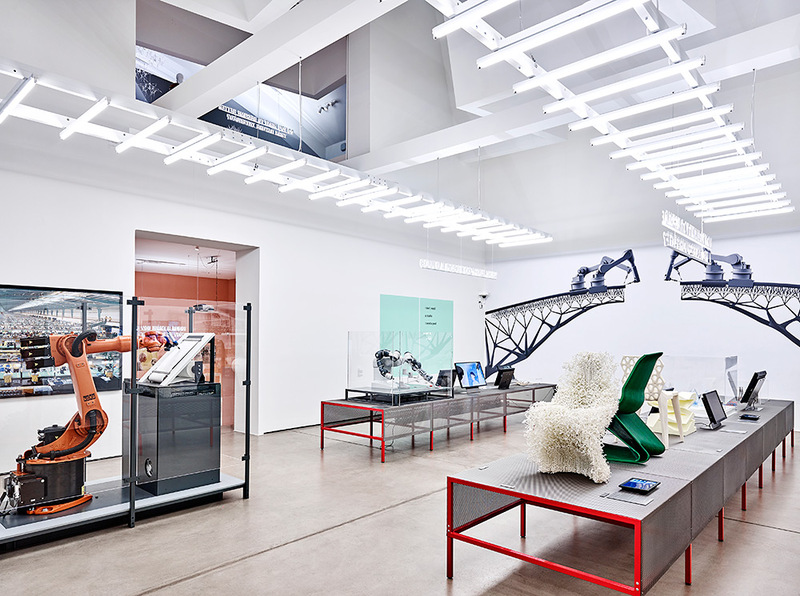 Divided into four chapters, the exhibition, curated by Amelie Klein and designed by Basel-based Emyl, takes visitors on a journey that begins by examining our historical relationship with robotics and ends in an equally thrilling and disturbing future where machines and humans become one. In the exhibition’s first chapter, ’Science and Fiction’, the robots we grew up with in popular culture are displayed around a darkened space, spotlit like alien species. Here, Star Wars’ R2-D2, Rosie the Robot from The Jetsons and the infallible computer HAL 9000 from Stanley Kubrick’s 2001: A Space Odyssey all illustrate how our expectations of robots have been shaped by the media. Other works, such as Eric Pickersgill’s Removed series of portraits, where sitters are asked to recreate their uncommunicative and aloof gestures when holding personal devices, raise questions such as do we really need these devices? And, do we even like them? This line of questioning continues throughout the exhibition as a way of making visitors re-examine our alarmingly ambivalent attitude to the way in which robots have infiltrated our lives. ‘The technology is there, it will be used so we better learn about it and discuss it rather than leaving it to the big data companies do with it what they want’ explains Kries. A bright white lab-like space dedicated to robots in the work environment tackles the common fear of robots replacing humans. Here exhibits such as YuMi, a dextrous dual arm robot, highlight the potential for robots to work in close collaboration with humans. Designed to perform repetitive small-part assembly work required for the electronics industry, YuMi is safe enough to use without protective barriers. Meanwhile, Robotlab’s robotic scribe, programmed to constantly write manifestos, raises the question of whether robots could also eventually fulfil intellectual roles in the workplace. 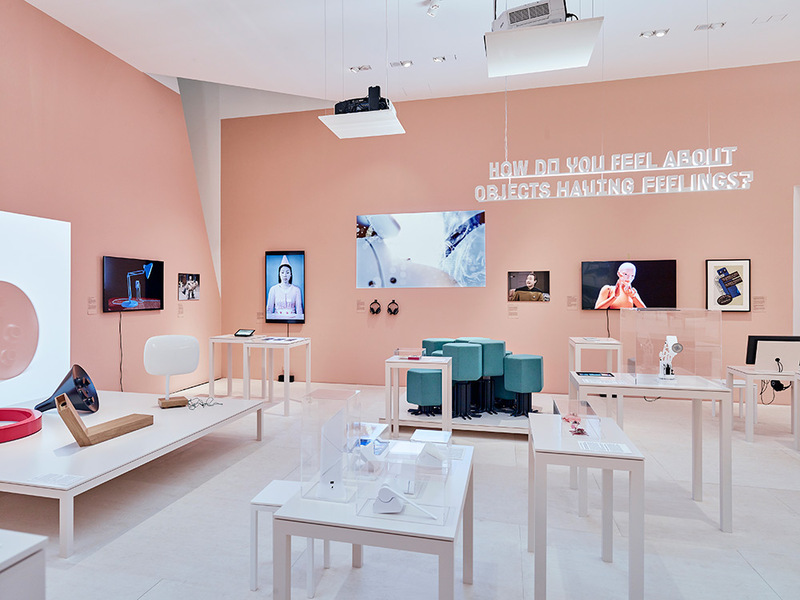 Moving from the workplace into the home environment, a room of care-giving robots and smart objects asks the question ‘Do you want a robot to take care of you?’ Displayed against a flesh-coloured backdrop, existing devices such as the Amazon Echo are showcased alongside conceptual pieces such as Philipp Schmitt, Stephan Bogner and Jonas Voigt’s ‘Raising Robotic Natives’ – a collection of four parenting aids that imagine a world in which domestic robots are ubiquitous. Craned menacingly over a baby’s crib, the ‘Robot Baby Feeder Toolhead’ is an industrial arm equipped with a baby bottle on its grip.